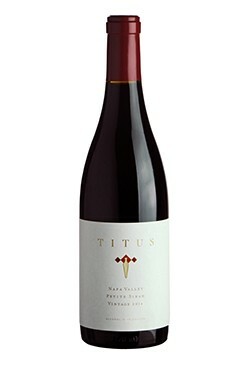 The 2015 Titus Merlot is proof of how delicious Merlot can be and why we love to use it in the blending of the Titus wines. It has aromas of berry tart, dried cherry, espresso and candied apple. The palate of the wine is mouth filling and smooth with flavors of Maraschino cherry, wild berry pie and baker’s chocolate. The tannins are long and integrate well with the mid weight body and fresh fruit. Enjoy now through 2025. The 2014 Titus Petit Verdot is a beautifully built and densely layered wine. This dark wine’s aromas are redolent of blueberries, berry pie, clove, crushed purple flowers and charcuterie. The palate is rich with concentrated berries and baking chocolate, with espresso that gives a refreshing pop to the mouth-filling, gooey texture of this wine. 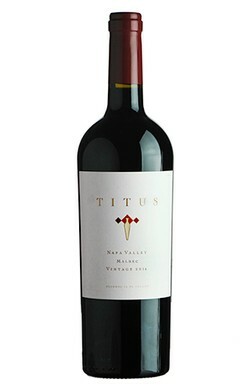 The focused tannins radiate throughout as the wine lingers to a long finish with notes of graham cracker and currants. Enjoy this wine now through 2032.